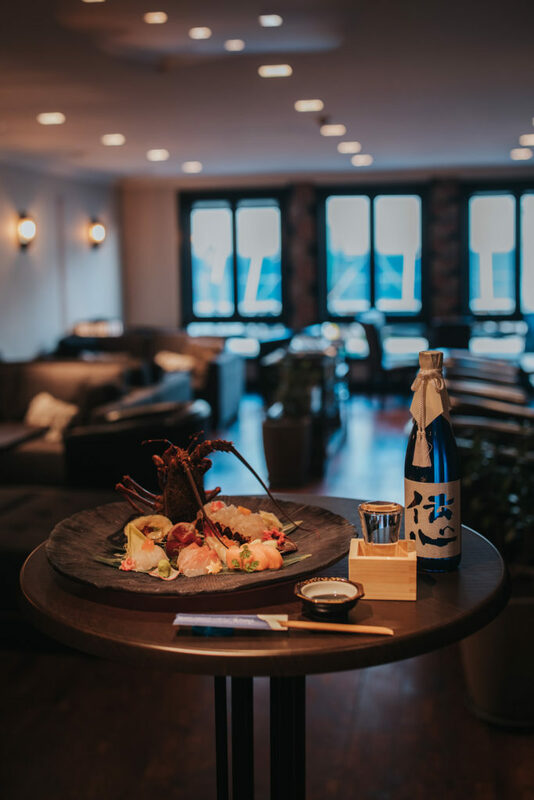 Located in beautiful Queenstown is TATSUMI, a cosy and private Japanese restaurant that serves up an incomparable fusion of traditional flavours and contemporary cuisine. Having spent more than 20 years crafting his skill, head chef Koichi has developed a modern Japanese fusion menu that explores and breathes life into Japan’s distinctive cuisine. The success of TATSUMI’s dishes lies in the delicate mix of authenticity and innovation. From Christchurch to Auckland and now Queenstown, owners Koichi and Yoko are always found working at the restaurant, ensuring that customers have same quality of food and service everytime when they come to TATSUMI. What is the philosophy at Tatsumi? As our Owner & Head Chef Koichi has extensive experience in European Cuisine, we create European based Japanese cuisine. Of course, we offer traditional Japanese food such as Sushi, Sashimi and Tempura, but we offer traditional Japanese in a more modern style. We also use European cooking methods as well as European ingredients for our Japanese cuisine which has proven to be a good blend. in our dessert menu. We serve a wide variety of French desserts but use Japanese ingredients such as Green Tea, Black Sesame and Yuzu Japanese Citrus. Tell me more about the cuisine on offer. We have an all-day tapas menu and an eightcourse degustation menu which covers both traditional and modern Japanese. We also have an in-house fish tank allowing customers to order live crayfish and paua for fresh Sashimi. How did the Christchurch earthquake impact your business? We lost everything in the earthquake. Our reputation that we had built in Christchurch was not transferred to Auckland and we had to start from the beginning. This was extremely tough, but also made us step up our cuisine and service. Tell me about your move to Queenstown – what prompted this? We loved our Auckland restaurant but we were extremely busy – just working everyday from morning to midnight. Queenstown offered a more relaxed lifestyle and beautiful vistas. TATSUMI’s success in Christchurch and Auckland was due to strong local support – we know we can achieve the same in Queenstown by bringing our high-end Japanese cuisine to Queenstown locals and tourists from all over the world.